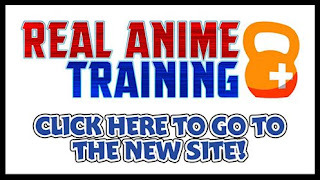 Real Anime Training has a new home! Blogger has been awesome to us, but it's time to move to a set-up that can do all the things we wanted to do with Real Anime Training. Top 10 Common Mistakes Made In Training! Please consult your physician before beginning any exercise program. If possible, train with a licensed professional.